What does Numerology says about you ? What does Numerology say about you? Your birth number can say a lot about you. 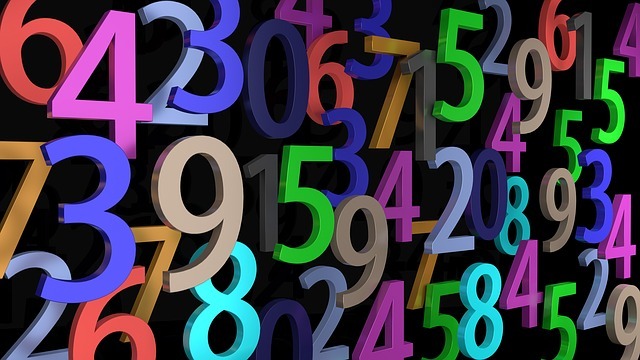 What to know what numerology says about you? To calculate your birth numbers just add the digits of your birth date. Ex if you are born 23 of any month, then your birth number would be 2+3 = 5. Similarly, if you are born on 28 then your birth number would be 2+8 =10 which is again 1+0 =1. That means your birth number is 1. Number 1: Number 1 corresponds to the sun. This number represents creativity and protection. It indicates action. If you are born on the 1st, 10th, 19th or 28th day of any month of any year, then your birth number is 1. Birth Number 1 person has a strong sense of self-worth. They resent criticism. These people usually demand respect. These people are definitely in their views, sometimes they become stubborn. They dislike restraint and they want freedom. Birth Number 1 person considers themselves as superior to others. They want authority in whatever they do. They need genuine appreciation, respect is their weakest point. They wanted to be looked up by their friends, relatives, and co-workers. These people are kind-hearted and generous. They will do whatever is needed to protect the helpless. The only way to win a confrontation with them is to be humble. They want to enjoy fine clothes, impressive cars, and luxury homes. Number 2: The number 2 corresponds to Moon. This number represents imagination and sensitivity. If you are born on the 2nd, 11th, 20th or 29th day of any month of any year, then your birth number is 2. Birth number 2 people are dreamers. They are highly imaginative and creative. However, they have a tendency to fear the unknown. Due to this fear, they are not as forceful as they should be in carrying out their plans and ideas. They are very romantic in nature. They need a sense of security. They need the feeling of being comfortable at home. They have very deeply involved (both positive and negative) with your mother. However, they will make ideal parents themselves. Birth Number 2 people are very much concerned about the well being of their friends and family. That's why they have a fear of loss of everything: loss of love, loss of property, friendship, money, etc. In money matters, they are extremely cautious. They will not take any risk with money and will play only safe bets. Birth Number 2 person is secretive. They will not let anybody know what is in their mind. Number 3: Number 3 is related to Jupiter. This number represents idealism, foreign travel. It is a number of optimism and expansion. If you are born on 3rd, 12th, 21th and 30th of any month then your birth number is 3. Birth Number 3 people are idealistic so whatever action they take is for a greater ideal. They aim for truth and want truth in all the relationships. They can sense lie from a distance and will not tolerate a lie. These people have an independent nature. Freedom is uttermost important for them. Freedom of speech is essential. That's why they are sometimes blunt in speech also. Travel is a necessity for them. They are optimistic and look at the brighter side of everything. Religion is an important part of their lives. They might at one point in life have explored the truth behind the world. They love to take physical challenge therefore, sports is important for them. They have a genuine love for animals and the underprivileged people. Birth Number 3 person sometimes free marriage and family ties as a restriction. Marriage works only in case of total freedom. Due to their optimistic nature, Birth Number 3 people are a risk taker and love gambling. You can find Birth Number 3 people at the casino or exploring the stock market. Number 4: number 4 corresponds to Uranus. It represents individualism, unconventional behavior, and sudden and unexpected events. If you are born on 4th,13th,22nd and 31st of any month then your birth number is 4. Birth Number 4 people are mostly misunderstood by their family and friends. They have their own rules and sometimes their rules do not match those of the society. They have individuality in their thought and action. They always follow a path that is different from the society path. These people live in the future. They are not much concerned about the present. Anything which is out of the beaten path will appeal them. They have the curious and questioning temperament. Birth Number 4 people want changes in every area of life. They can suggest changes for everything be it politics, art, etc. However, they are reluctant to accept changes in themselves. If they are pushed to adhere to societal norms then they become stubborn. Friendship is important for the birth Number 4 people. Money does not matter that much to them.They will never base their friendship on money or social status. Their main tendency is to follow "live and let live ". Number 5: number 5 corresponds to Mercury. It represents communication, intelligence, and analytical skills. If you are born on 5th,14th,23nd of any month then your birth number is 5. These people have a lot of natural charm and they are kind-hearted. However, they are quick to spot mistakes and flaws and they will not hesitate to point out them. These people are supercritical and are incapable of ignoring other's mistakes. These people have a strong tendency to over analyze people and situations. Sometimes they even base emotional relationships also on the logical parameter. They don't base the things on intuition or feelings but on logical answers. Birth Number 5 people want a change of scene, relationship, residence, and political belief. Their outward persona is pleasant therefore others love talking to birth number 5 person.Birth Number 5 person is very bright and intelligent and goes into the minor details. Number 6: Number 6 corresponds to Venus. It represents feminine character, love, money, and compassion. If you are born on 6th, 15th, 24th of any month then your birth number is 6. Birth Number 6 people are highly attractive and others seem to be magnetically drawn towards them. They get genuine love from their friends and associates. These people are highly romantic but their romanticism is of sentimental nature. They love to spend time with their friends and loved ones. They don't want any negative feelings such as argument and jealousy around their loved one but they can themselves display intense jealousy if they sense the loss of someone they love. Birth Number 6 people have a sense of beauty. They are inclined towards music or art. They will beautiful homes and gardens. Money comes naturally to them. It can be self earn or from inheritance. However, for finance, there can two polar tendencies either to be extravagance or frugality in money matters. Number 7: Number 7 corresponds to Neptune. It represents sensitivity, spirituality, and sympathy. If you are born on 7th, 16th,25th of any month then your birth number is 7. Birth Number 7 has weird dreams. These dreams represent their inner depth. These people have an intense interest in occult, mysteries, and mythologies. They have a gift of intuition and their calming and soothing impact have to influence others. These are a religious person but their attitude towards religion can be peculiar and different from convention. In their lifetime they might have traveled a lot or read books of different cultures and people. These people have a tendency to be anxious about the future, therefore, financial security is important for them. Although they care little about money or material possession it comes naturally to them because of their originality. They are laid back and quiet people who don't open their hearts easily in front of others. However, they are very understanding of others pain and suffering. Number 8: number 8 corresponds to Saturn. It represents wisdom, learning through experience, patience, and responsibility. If you are born on 8th, 17th,26th of any month then your birth number is 8. Birth Number 8 people are quiet, reserved and shy. They will not look like pushing too hard but they know that they will reach their destination. They are excellent teachers and counselors. They excel in whatever requires patience. Birth Number 8 people could have faced poor health in their childhood but in maturity, they make become robust. These people have an inborn sense of duty and responsibility. These people are reliable. You can be assured that they will be at your side in the time of need. Birth Number 8 person will show that compliments don't matter to them but internally they want appreciation and they enjoy sincere compliments. These people are very deep and have great inner strength. Number 9: number 9 corresponds to the planet Mars. It represents aggressive action and courageous behavior. 9 is the number of originality and initiative and also have traits of vulnerability. Birth Number 9 people are focused and determined but they have a tendency to be impulsive and make snap decisions. However, as quick are they in reaction similar swiftness is in forgetting and forgiving an injury. Birth Number 9 people are vulnerable to their enemies as trust others easily. They are pure-hearted therefore manipulation and deviousness comes as a shock to them. As Mars mold their personality these people are fast in getting to the point and rectifies the error of other's thinking instantly. These people may be seen as self-assertive but they need continual reassurance that they are liked and respected. Birth number 9 person has a natural instinct to give and let go.